If you've heard the new Ariana Grande song "7 rings," you don't have to be a popular music historian to recognize the melody from "My Favorite Things," one of the most famous songs from The Sound of Music by the late songwriting duo Rodgers & Hammerstein. 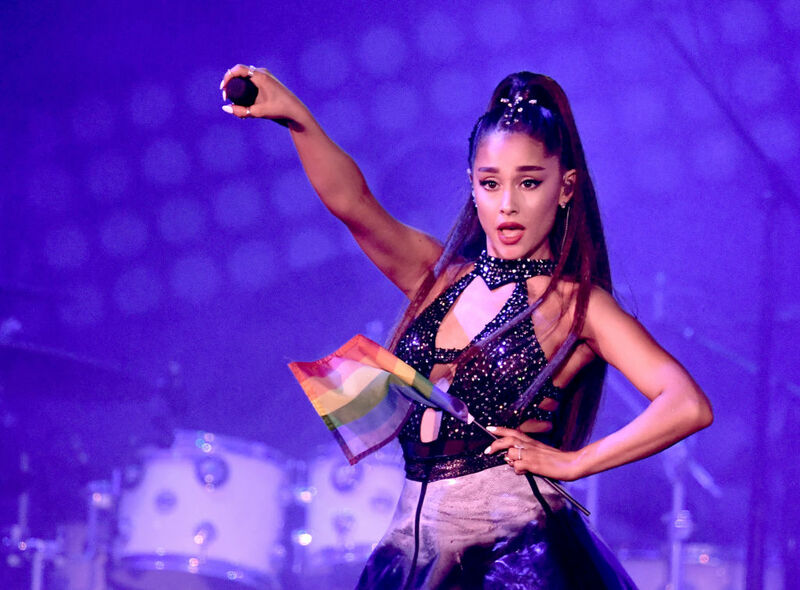 That's no coincidence, and in fact Grande's label struck a deal in advance of the release of the song with publisher Concord Records, which owns the rights to the Rodgers & Hammerstein catalog. The end result? 90 percent of the songwriting credit for the song, and the attendant royalties, are going to Concord. The New York Times reports that Grande's label Republic accepted Concord's request for 90 percent of the credits to the song without any additional negotiations, which goes to show how much of a commercial powerhouse Grande is, and how interested she was in releasing her inspired take on a classic. Concord comes out pretty well here, too, since "7 rings" has been on the Billboard Hot 100 chart for over a month, and with Grande going on tour to support her most recent albums, the song should continue to rack up airplay and streams with the lion's share of the royalties (worth millions) going to Concord. She's not the first artist to release a high profile single with a melody nicked from a familiar song. If you're old enough you undoubtedly remember Diddy's (back when he was still Puff Daddy) 1997 song "I'll Be Missing You," a lift from The Police's 1983 single "Every Breath You Take," written by band frontman Sting. Diddy's Bad Boy Records label wasn't as diligent as Republic was, and no one at the label cleared the sample with Sting or his label. So, as the story goes, what would have probably been a matter of a 25 percent credit and royalty agreement to Sting became a situation where Sting was able to demand and secure 100 percent of the royalties from Diddy's song – in addition, of course, to benefiting from the increase in popularity of his original song that came about thanks to Diddy's sample. No one can say for sure how much Diddy's version contributed to this, but Sting is reported to still make about $2,000 a day in royalties from his more than 35-year-old work.